It has been suggested that the stone castle at Codnor replaced an earlier wooden Motte and Bailey fort previously located on the site, but as yet there has been no evidence forthcoming to support this theory. We do know that Henry de Grey of Thurrock acquired land in Derbyshire and Nottinghamshire around 1195, the Pipe Rolls confirming that he was responsible for the payment of five knights fees. Codnor and Touton, 1 knights fee. 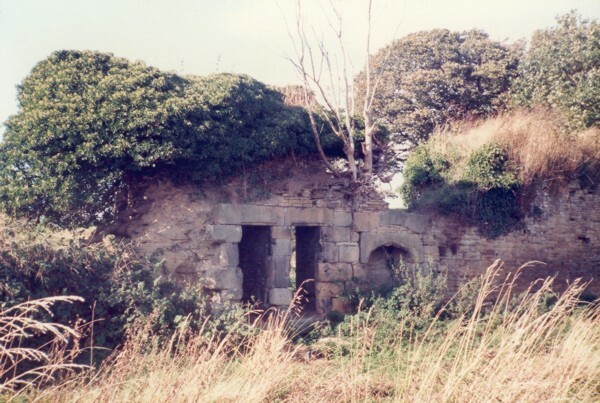 It was also around this time that Henry de Grey married Isolda (Ysoude) niece and eventual co-heir of Robert Bardolf and it was most likely Henry who was responsible for establishing the first stone castle on this site sometime in the early part of the 13th century. The original castle consisted of what is now known as the North Court surrounded by a moat and accessed via a drawbridge and gatehouse in the south facing wall. The de Grey family were one of the most powerful families in England, and for almost 300 years generation after generation of the de Grays were Lord of the manor of Codnor. During the early 14th century Richard de Grey replaced the early square gate house with a more impressive entrance flanked by twin circular towers. It is unclear whether the entire south facing facade was rebuilt or just the gate house as all four towers seem to have different architecture. 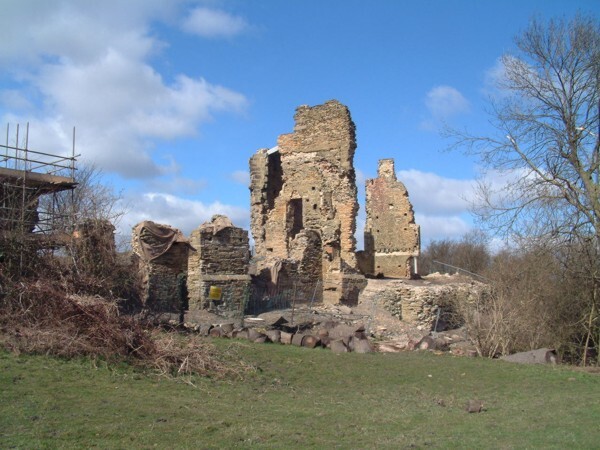 King Edward IIs visit to Codnor castle in 1322 may have prompted the building improvements. Fig.2 Remains of the twin Gate towers 1980s, both towers have two croslet windows. Gateway between has been blocked during 1800s. The castle was further extended during the 15th century with the addition of a new south court almost doubling the size of the castle. Much of this later building is now missing and it is difficult to understand the layout of the south court, and its relationship with the original building. Fig.3 South court showing details of twin Mural chambers and fireplace 1980s. Another pair of Mural chambers existed but are now collapsed. By 1496 Henry, the 7th Baron Grey of Codnor had died without lawful issue. His Will stated that the castle and its estates should go to his uncle Sir John Zouch who was married to Elizabeth Grey. The king recognised the Will and the Ownership of the castle and estates moved to the Zouch family. The Zouch family continued to make additions to the castle. A large section of the West-facing wall of the Keep was rebuilt with a huge fireplace for the great hall. The moat, which was no longer used for defensive purposes, was enlarged at the northern end to form a small lake. The Zouch family also started to extract coal and ironstone from the surrounding parkland, whilst the grounds around the castle were landscaped and turned into ornate gardens designed to impress visiting dignitaries. But in 1634 the Zouch family sold the castle and its estates and moved to Virginia America. The reason for this decision is not clear but possibly the financial cost of all the building and landscaping bankrupted the family.. It may have been the Zouch family who were initially responsible for dismantling parts of the castle, possibly to pay off debts by selling stone for building, but the next owner certainly continued with this theme. Dr Richard Neile, Archbishop of York was considered to be a land hungry courtier that was only interested in buying and selling land at a substantial profit, and he took the opportunity to sell large amounts of stone from the castle. It was during the next few years that as many as six farms were built from Codnor Castle stone. Castle farm, Home farm, Hoggbarn farm, Knowts hall cottage, The stone cottage 37 Nottingham Road and the last one being the cottage at the end of Station Lane Crosshill. Eventually Dr Richard Neile’s Grandson also called Richard sold the Codnor castle estate to Sir Streynsham Master in 1692. Sir Streynsham Master and his wife Elizabeth lived at Stanley Grange in Morley. It is unlikely that they ever lived in the castle as it was by now in a ruinous condition. He rented Castle farm to several tennents and later leased the castle and its estates to Sir George Warburton & Edward Downes. 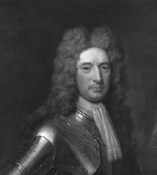 After his death in 1724, his son Legh inherited Codnor Castle. He commisioned Samuel & Nathaniel Buck to make a drawing of the Castle how it looked then. 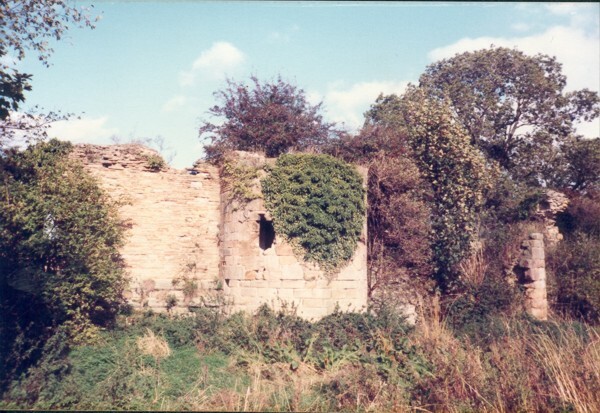 This picture is the earliest image of the castle and shows the remains of the north court. 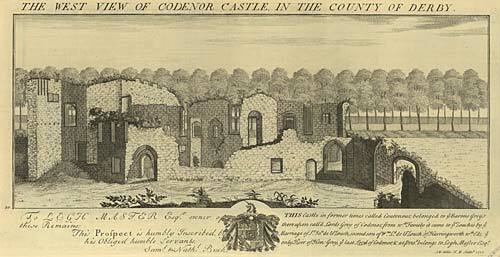 Fig.5 West view of Codnor Castle by Samuel & Nathaniel Buck 1727. Lefthand side: To L.E.G.H. MASTER Esqr. owner of these Remains. Saml. & Nath l. Buck. The castle remained in the hands of the Master family until 1862, when Charles Legh Hoskins Master sold the estate to the Butterley Company. The company increased the mining activity, further damaging the fragile castle remains. Eventually in 1968 the Butterley company sold the estate to Bernard Swain who in turn sold it to the National Coal Board in 1978. The castle is now a grade 1 listed monument and has been added to the English Heritage "Buildings at risk" register. 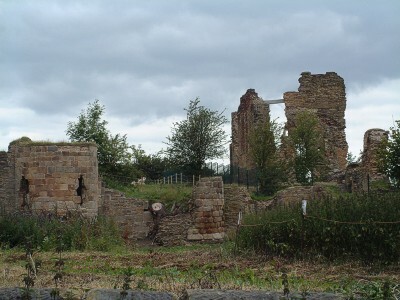 In 2008 UK Coal completed a program of consolidation work designed to stop any further deteriation of the castle. 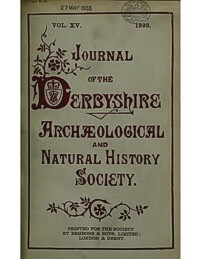 Fig.6 In 1893 Frederick Channer Corfield of Ormonde Fields House, wrote an article about Codnor Castle in volume 15 of the "Journal of the Derbyshire Archaeological and Natural History Society". Click on the Journal opposite to view the article. 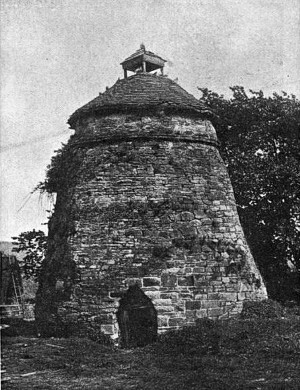 To see information about the Castle Dovecote click on the image opposite. Several artifacts have been found in and around the castle, some are listed below. Fig.8 A font found in 1834 is believed to be from the castle's, Chapel of St. Nicholas. It is now kept at Crosshill Church. 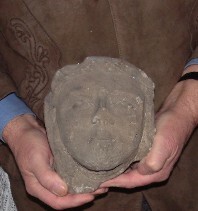 Fig.9 A carved stone head possibly from the top of a doorway in the castle. also kept at crosshill church. Fig.10 Gold noble of Henry V (1413-1422). Found during the excavation of the moat for the Channel 4's Time Team program shown in January 2008.